I created this worksheet for younger pupils to learn and practice the prepositions of place at an elementary level. It also gives an opportunity to revise and use the personal pronouns. The above downloadable handout is best suited for elementary school students at Beginner (pre-A1) and Elementary (A1) level. 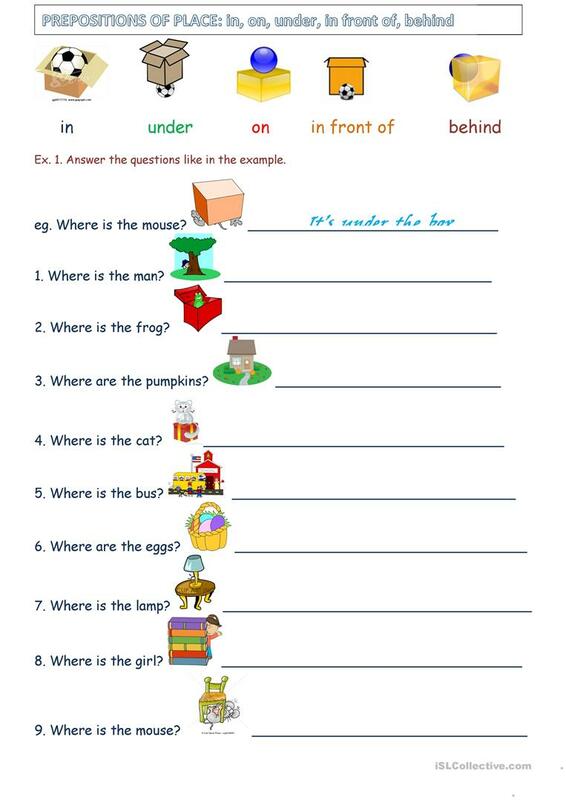 It is great for revising Prepositions and Prepositions of place in English, and is a valuable material for strengthening your learners' Speaking, Reading and Writing skills.